A couple of weeks ago I attended the Press Conference for the launch of Armani Code Ice and the introduction of Chris Pine as the ‘Face’ of the line. I don’t attend a lot of these events as they always seem to be style over substance. Not in this case. There are now 3 versions of Armani Code and all 3 are actually really lovely. I’m not big on spiel but each of the men in the house prefers a different version of the fragrance. Ultimate is the favourite of Mr Hirons – which suits as its the more intense version and is so nice that I wear it myself. Lush. Code (the original) belongs to Son No.1 – strong personality, confident etc – and the new Ice is Son No.2 – it’s younger, fresher and crisp. Just like Dan – who spends longer getting ready than anyone else in the house, including me. Seriously. So job well done Armani. And as for Mr Pine or ‘OOOH CAPTAIN KIRK! !’ as Ruth called him (I’m not a Trekkie), he was perfectly charming. Down to earth, didn’t take himself too seriously and talk about his ‘craft’ and yes, is that handsome in the flesh. 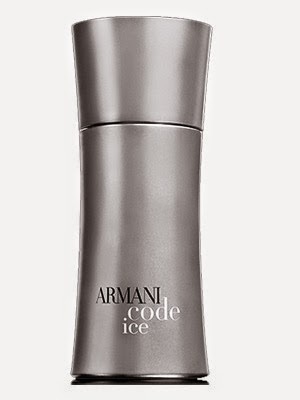 Armani Code Ice is available now at all stockists.